I've always been captivated by images that have focused on knolling and the painstaking art of organising things neatly into 90 degree angles. Today, I'll explore this style and it's history in a little more detail. This eye-catching style was first seen in 1987, by Andrew Kromelow. As a janitor for the designer, Florence Knoll, Andrew would organise any misplaced tools into right angles on all available surfaces - allowed the user to see all of their tools at once. This was the first coining the phrase 'knolling'. Etymology behind us - this photography style came to popularity in the height of Tumblr, with the popular Tumblog, Things Organized Neatly. In the early days of this trend the blog's curator, Austin would re-blog photos of items like envelopes or watches lined up. Taking the blogosphere by storm, these grew to be increasingly popular - producing a cult following of fans and content creators, who shot their own, increasingly complex versions - often combining with the EDC format (Every Day Carry) and the flat-lay style. This included one of my own. Having curated and shot a couple dozen of these, they need a lot of focus to curate and an extra steady hand with a set square, but the results are always so satisfying. This style's popularity is at an all-time high, with hundreds of Knolling focussed Instagram accounts and popular Reddit Subreddit. Knolling inspired flay-lays are a mainstay of fashion, tech and lifestyle blogs - with them frequently being used in publications to show new products to consumers and in campaigns for large brands that are attaching themselves to this style. 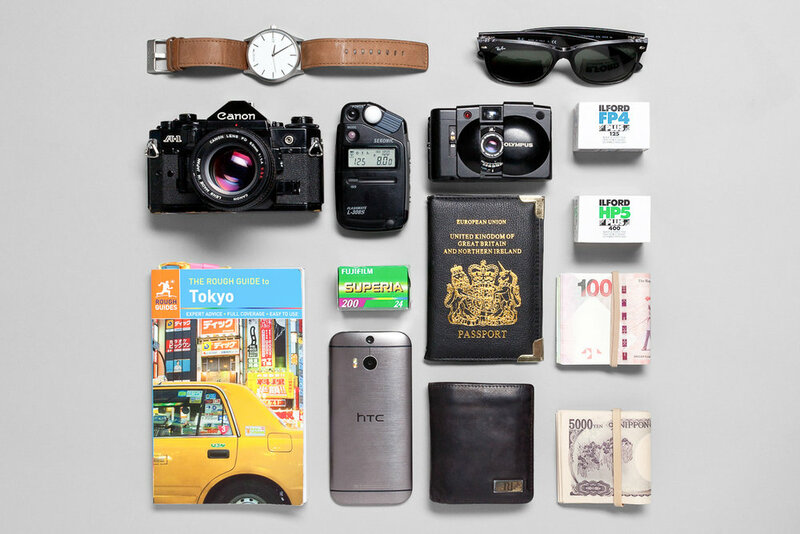 A great source of inspiration for these is over at Instagram, with the #Knolling hashtag.